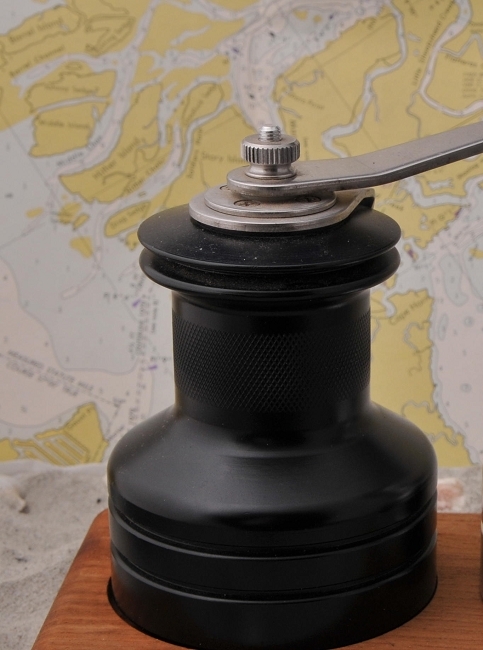 Take your choice of an individual "Sailing Winch" salt or pepper mill. Standard configuration is "Silver" = Salt; "Black" = Pepper. Their beauty is more than skin deep. They are specifically built to keep your condiments dry and fresh in the marine environment. Patented nylon and stainless grinding mechanisms provide perfect salt granules and pepper flakes. These mills are made of fine, marine-grade materials that won't clog or jam and resist corrosion. Resembles Barient and Lewmar big-boat sailing winches. Refill the grinders by lifting and swiveling the handle/self-tailing mechanism on top of the winch -- simple! Made in USA. Hand assembled by experts. Silver (Salt) & Black (Pepper) anodized aluminum and stainless steel. Teak Holder: Less than 1 lb. Engraving available at additional cost, upon request. "I can't remember how many times our guests have tried to steal our S&P grinders but I have to watch like a hawk !!! PS: if the boat was sinking I'm not sure if I would grab my S and P winches or the epirb first..."
Or, ... 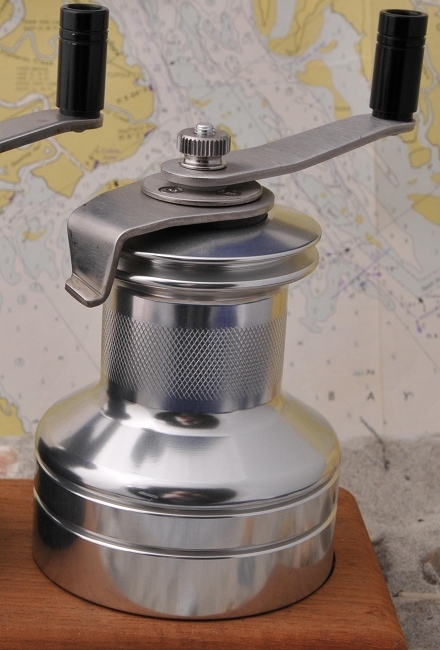 Choose the "Sailing Winch" Salt & Pepper Set! Click Here & Save.